The perfect touring kayak, constructed in light and robust Carbon-Aramide. Lighweight, stiff and extremely robust. Handlaminated out of Carbon-Aramide fibers, it is one of the lightest, fastest and most beautiful full-equipped touring kayaks on the market.! 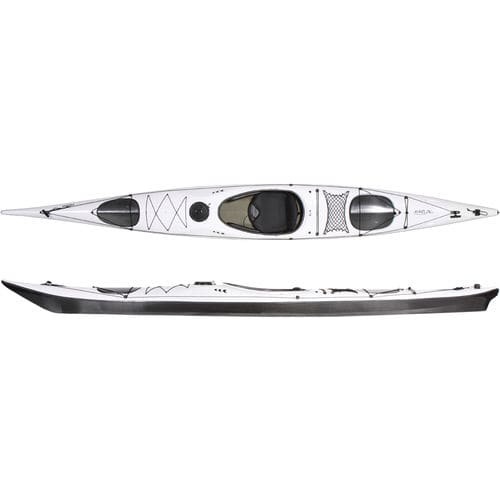 Made for light and medium-weight paddlers! The Marlin LV impresses with elegance and speed. It glides safely forward, fast changes of direction by riding the boat on the edges, everything can be done very precisely. The comfortable seat is well suited for longer stretches.